The Future is Here: Are you Ready? We may not be in “Blade Runner” territory quite yet, but technology certainly is a pillar of our everyday lives: personal and business. Is your company prepared for what's coming in 2019? At ALTA ONE, our “Confront the Future” track will stimulate you to not just plan but get excited to jump into tomorrow with both feet! Remote Online Notarization has been the topic du jour in 2018. Companies now are examining how they can close the last mile toward a fully digital closing process: What are the key hurdles and capabilities of this emerging technology? 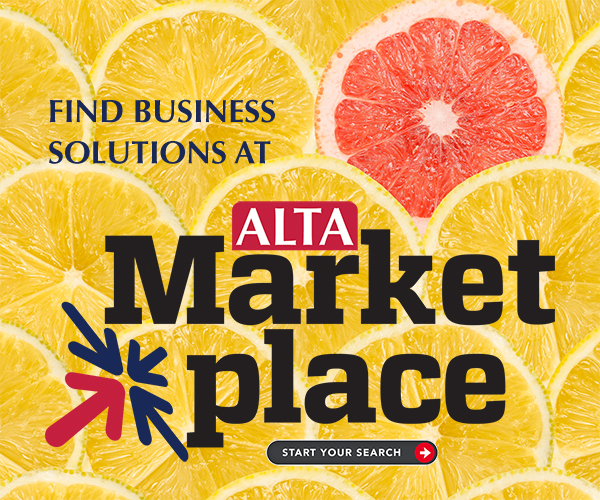 The ALTA ONE panel will discuss why your business partners are exploring a digital closing process and how to find the right balance between convenience, security and risk as we build a road to smarter closings. The hype around blockchain, bitcoin and smart contracts reached a fevered pitch in 2018. As expectations return to reality, it's time to think about tangible ways these technologies can make you and your team more efficient. In this session, you will gain a big-picture understanding of how major industry players and venture capitalists are leveraging cutting-edge technologies to bring new models that will require today's title agent to adapt. We've all heard Artificial Intelligence will replace us. But what will AI really be able to do? What does that mean for the title professional? See how other businesses are using AI, chatbots and other types of machine learning to revolutionize their customer experience. Learn about the tech tools your customers need you to know. Join us in Los Angeles, Oct. 9-12, to explore digital closings, understand the latest technology trends and discover what artificial intelligence can do for you. For more information on what you'll see at ALTA ONE, check out the ALTA ONE schedule.